Tatabánya ([ˈtɒtɒbaːɲɒ]) (German: Totiserkolonie) is a city of 67,753 inhabitants in northwestern Hungary, in the Central Transdanubian region. It is the capital of Komárom-Esztergom County. The city is located in the valley between the Gerecse and Vértes Mountains, some 55 km (34 mi) from the capital. By virtue of its location, the city is a railway and road junction. The M1 (also European routes E60, E75) motorway from Vienna to Budapest passes through the outer city limits, and the Vienna-Budapest railway line also passes through the city. Archaeological findings prove that humans have been living here since the Stone Age. The three historic predecessor settlements of Tatabánya are Alsógalla, Felsőgalla, and Bánhida. Bánhida is the earliest settlement, it was first mentioned in 1288. In the 16th century, the Ottoman Turks occupied the area. Around this time, the inhabitants became Protestants. 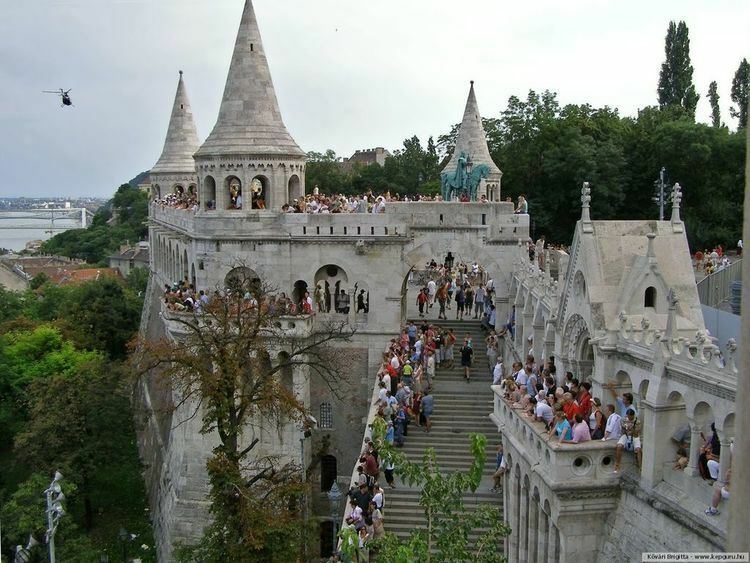 Later, its feudal lords, the Esterházys populated the area with Roman Catholic German and Slovak settlers. According to the 1787 census, Alsógalla had 580 and Felsőgalla had 842 inhabitants. The coal resources of the area were discovered around this time. The population began to grow, and a new mining colony was formed, later developing into the village of Tatabánya. During the industrialization wave that took over the country after World War II, several Hungarian towns developed into large industrial cities. The four villages were united on October 1, 1947, under the name Tatabánya and it was elevated to town status. 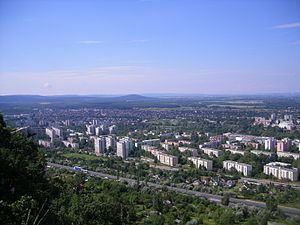 In 1950, it became the county capital of Komárom-Esztergom county (then called Komárom county.) By the 1980s, it had more than 80,000 inhabitants. The industrial character of the city was significant until the fall of the Socialist government and the following political changes of 1989. After that, the importance of heavy industry and mining decreased and the economic structure of the city has changed remarkably. According to the 2001 census, Tatabánya had 28,912 households and 60% of them had central heating and telephone access. Almost all households have access to the cable TV network. 98% of the city roads are paved, mass transport is well organized. Vértes Volán provides local and nearby coach services. Until the mid-20th century, educational standards in the city were average, but in the second half of the century they deteriorated to below average, mostly because the local mines did not require their employees to have a high level of education. By the end of the 20th century, this trend had reversed again. The city currently has two colleges, ten secondary schools, 16 primary schools, 18 kindergartens, and five crèches. The most important cultural institution is the Mari Jászai Theatre. The city has several other institutions, including museums and libraries. Tatabánya has a football team called FC Tatabánya, founded in 1910. The town also has a successful handball team, Tatabánya Carbonex KC. One of Tatabánya's most prominent residents is József Kiprich, formally known as "the Wizard from Tatabánya". He became the top goalscorer in the Hungarian League in 1985, scoring 18 goals in 26 matches. In total, he played nine seasons at Tatabánya before making the move to the Netherlands. He had just played his first match in his 10th season at Tatabánya when Feyenoord of Rotterdam got interested in signing him. Kiprich didn't hesitate and signed a contract and left Tatabánya for Rotterdam. He is also one of Hungary's top goal scorers. In eleven seasons of football with the Hungarian national team, "the Wizard" managed to score 28 goals in 70 appearances. 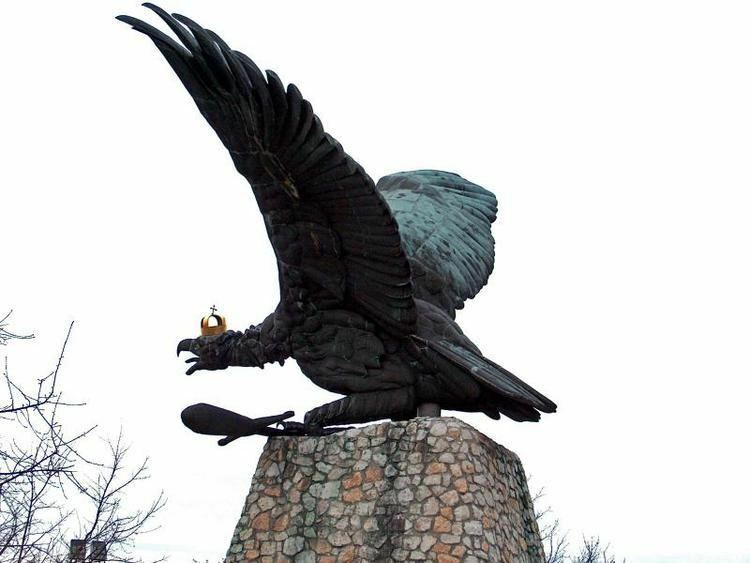 The Turul monument, above the city on the top of Gerecse Mountain, is the largest bird statue in Central Europe. The Szelim cave and the forest park of Gerecse Mountain are popular tourist attractions. Nearby mountains (Vértes, Gerecse) and villages are a great place to spend time; neighbouring Tata has a beautiful lake and a medieval castle.